MTN Nigeria recently introduced MPulse – a new tariff exclusively for children to help them academically but tweakers and smart techy Nigerians utilized the platform to enjoy free browsing cheats with the help of some tunneling apps. Now it looks like MTN has discovered the loophole and has blocked the MPulse Cheat but with Samsung Max VPN, the cheat should work again for most users. In fact, some subscribers can no longer migrate to mpulse at the moment but I noticed that you can go ahead to subscribe to your preferred MPulse plan even without migrating. I need to be more sure on that though before I make a conclusion. The most painful part is MTN wiped all the data accumulated by customers on MPulse Tariff in its pursuit to block the cheat. If you notice, 3 days ago, MTN service disappeared and the telecom company even had to pass official messages across to its customers in Nigeria. Below is a sample of the message. However, the interesting part of this whole thing is MTN can’t just block MPulse Tariff because of tweakers rather they will find another way to block the loophole but while they work on this, let’s continue enjoying the free browsing cheat using Samsung Max VPN. What Is Samsung Max VPN? Samsung Max VPN is the new and rebranded Opera Max VPN that was discontinued. 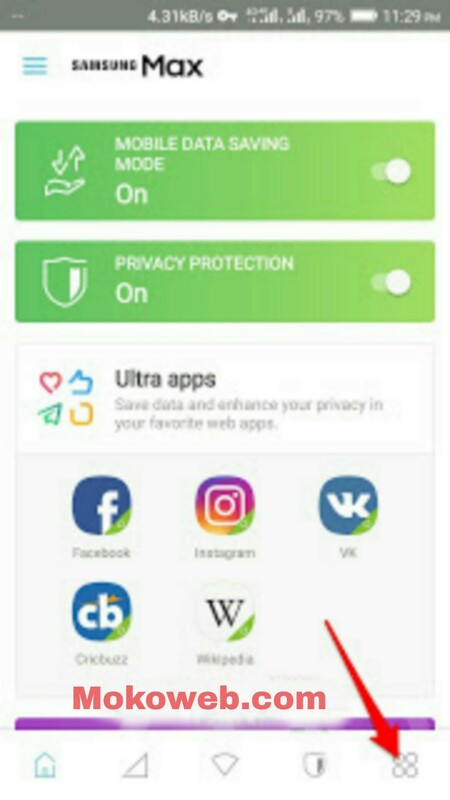 It’s an app that lets you save data and the same time protect your online activities. With this Samsung Max VPN, you no longer need to create SSH account or import Config files in order to enjoy mpulse free browsing cheat. Interesting right? Well, without wasting much time, let’s head straight to the business of the day. Once that is done, the count-down will disappear. At this juncture, the cheat will connect without the need to import any config file and SSH account details. I think this is the best and easiest way to go about this mpulse cheat. Let me know if it also worked for you via the comments section. Note this post is strictly for people in Nigeria. Have a blast!